The term ‘private vehicle’ is often used in the context of African safaris and game drives but what exactly does it mean? And, more importantly, do you need one? 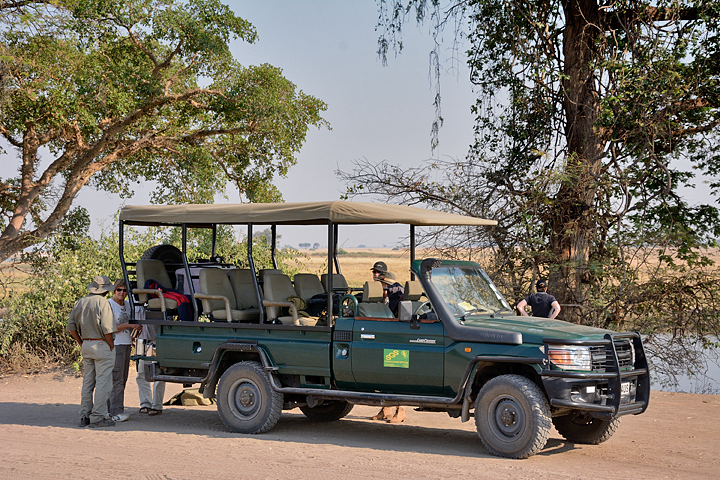 When you go on safari as part of a group you will find that you almost always have a vehicle to yourselves, exclusively for members of your group only. When you travel alone, or as a couple, you will usually find that you are sharing your transport with other people. In some cases it won’t have any noticeable effect but in others he effect can be significant. To see how this might affect your safari we need to look at the occasions during your safari when you’ll be travelling by vehicle. Whilst you want to spend as much time as necessary with the sightings and wait for the right moment to take your photos there will be others who simply want to see as many species as possible and will want to take a quick photo and then move on. It is all too common on game drives for people to be obsessed with seeing the so called Big 5 and to take little interest in lesser species and even less in birdlife. This can be extremely frustrating and is one of the most common causes for complaint on game drives. Even being in a game drive vehicle where everyone is keen on photography can be problematic too. In an open game drive vehicle you will often find that the action is happening on the opposite side of the vehicle to where you are sitting. In a closed vehicle with a pop-up roof hatch (the most common type of game drive vehicle in Kenya and Tanzania) you can find that if everyone is trying to stand up and take photos at the same time it becomes pretty tight for space and does rely on everyone being considerate. The obvious solution is to book a private vehicle and guide for your game drives. Unfortunately, as you might expect, this costs extra. Depending on the camp, the season and the demand, a private vehicle can cost between $150-$300 per day extra. This extra cost is significant, especially when added to the cost of an already expensive safari and, understandably, most people are reluctant to pay it. 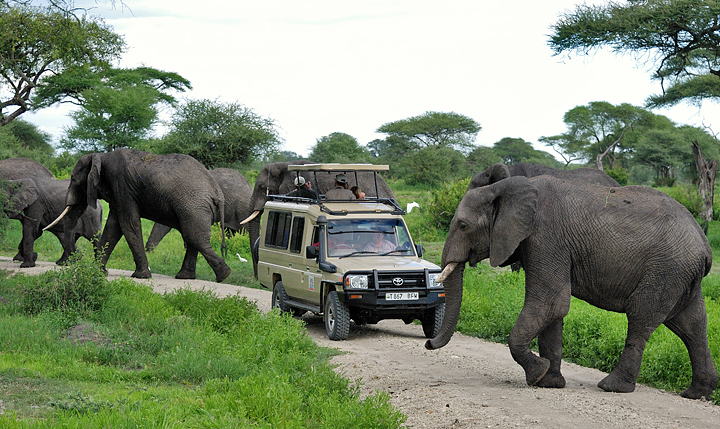 Most safaris will combine visits to more than one game reserve. 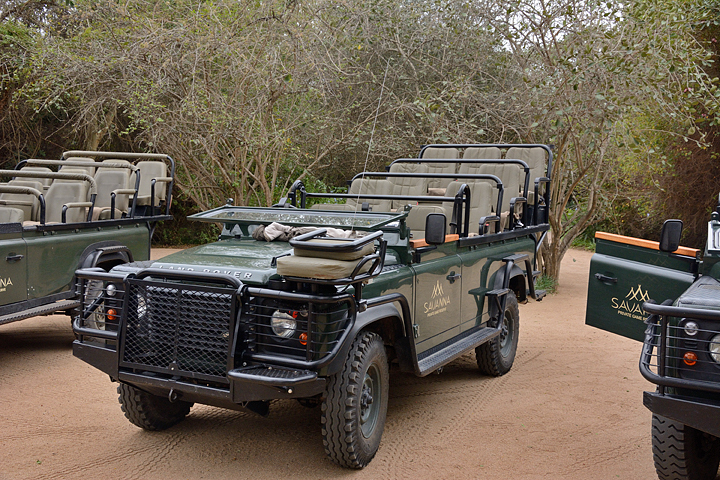 One option is to book a private vehicle for the duration of your stay in one reserve only. Alternatively, some people will try to book a private vehicle for just one day of their stay in a particular reserve. There are merits to this. After you’ve shared a vehicle for the first couple of days and have a feel for the reserve and where the best photo opportunities are, enjoy your last day in a PV where you can choose where to go and how long to stay. Be aware though that you cannot expect the camp to have a spare guide and vehicle standing by ‘just in case’ someone wants them. You will need to book well in advance to secure this service and even then some camps will not want to accommodate this request. The range of camps and lodges is huge; from intimate camps with just 4 tents to lodges with over 100 rooms. Not surprisingly, some are more in tune with the needs of photographers than others. With a little bit of research you can choose a camp where you have an excellent chance of finding yourself amongst other photography enthusiasts and a private vehicle is not necessary. Most of the camps mentioned in our accommodation lists are photographer friendly. There are quite a few companies specialising in photographic safaris. Some of them only offer tailor-made safaris, but there are some that offer scheduled departures specifically designed for photographers. The guide and the vehicles will be for the group’s exclusive use and everyone will share your interest in getting great photographs. You’ll need to check the maximum group size though and ask what the maximum number of people per vehicle will be. If you can, choose to travel outside peak season when camps are less likely to be full and you’ll have a much better chance of find yourselves as the only occupants of your game vehicle. Next Post:Can photography be art?